Help us welcome back Neida Bueno for another great year at Balloons and Tunes Roundup! We are happy to have you again Neida! 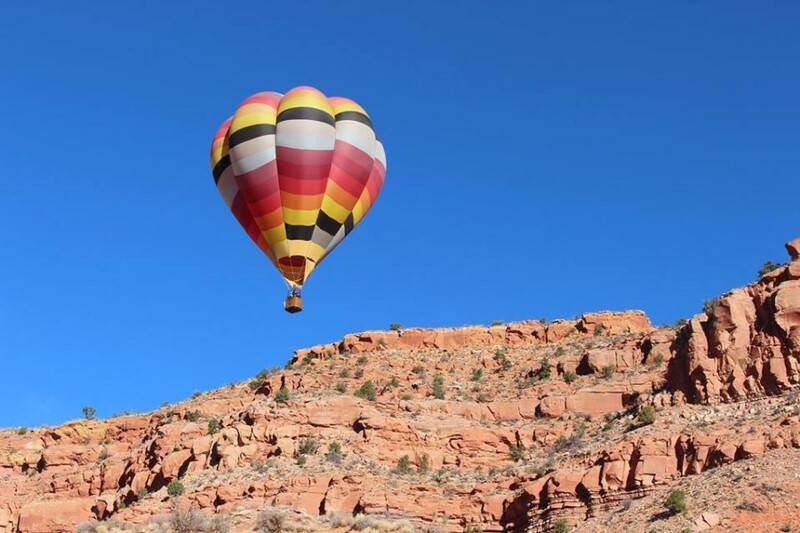 *Keith Evans and his wife Marianne are excited to join us in Kanab for their 5th Annual Balloons and Tunes Roundup, and have been return pilots ever since. Keith and Marianne are from Santaquin Utah. Keith and his family have been ballooning for 22 years this July. From the first time Keith helped inflate that first balloon he was hooked and it wasn’t long until his wife and kids caught the balloon bug too. Under the tutelage of many pilot friends; Keith finished his pilot requirements and became a private pilot on May 31, 2014. In October 2017, to add some diversity to his instruction, Keith went to Albuquerque NM to finish up his commercial pilot requirements, testing, and flights. Keith successfully passed all requirements and received his Commercial Pilot rating on October 21, 2017. Keith, Marianne, their children and many friends have been blessed to spread their love of ballooning with many people along the way. Some of their favorite places to fly are Kanab, Payson, American Fork, Craig Colorado, and Windsor Colorado among many more. Keith loves to spend time answering questions and letting kids (old & young) experience the joy, wonder, power, science, and pure pleasure that is ballooning. Keith has been known to spend hours letting kids climb in and out of the basket and anyone can fire the burner to experience the power. One of our favorite things is to land in a neighborhood and let the children come help put the balloon away. For the first time Keith’s new balloon will be flying in the festival. You may notice it looks a lot like the old balloon. Come see if you like the changes as we inflate and take to the beautiful skies over Kanab! See you soon! We can’t wait to have Keith and Marianne soaring in our beautiful Kanab skies once again! Welcome back! Help us welcome Bruce Pivic! *Help us welcome back William (Bill) Noe! We’re happy to have you Bill! Help us welcome Tom Keller to the 5th annual Balloons and Tunes Roundup! Welcome back Tom! We’re happy to have you! Be sure to watch for both of Tom’s balloons at this years’ event, Funner (red, white, and blue), as well as Tommy Lift at the balloon glow. What beautiful and unique balloons!